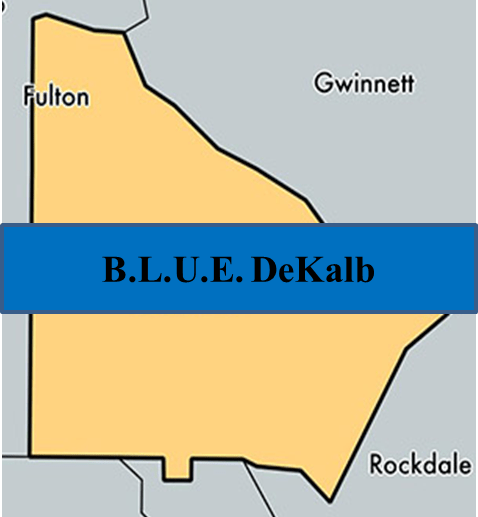 DeKalb County Police officers have not received a raise since 2006 and as a result this once proud police department has lost veteran, talented officers to occupations with better financial opportunities. The experience and training they take away cannot be replaced overnight and handicaps this agency during a time when public sentiment is against us. Several DeKalb Police officers have decided to take a stand and change the direction this department is going in. Sen. Butler’s actions undermine the infrastructure and processes the voters approved to provide some measure of oversight for a county government that has been plagued with scandals and malfeasance by elected and appointed officials. Taxpayers want their taxpayer funded public servants to respect them. Any actions that undermine the independence of the Audit Oversight Committee reinforce DeKalb’s image as corrupt and secretive. 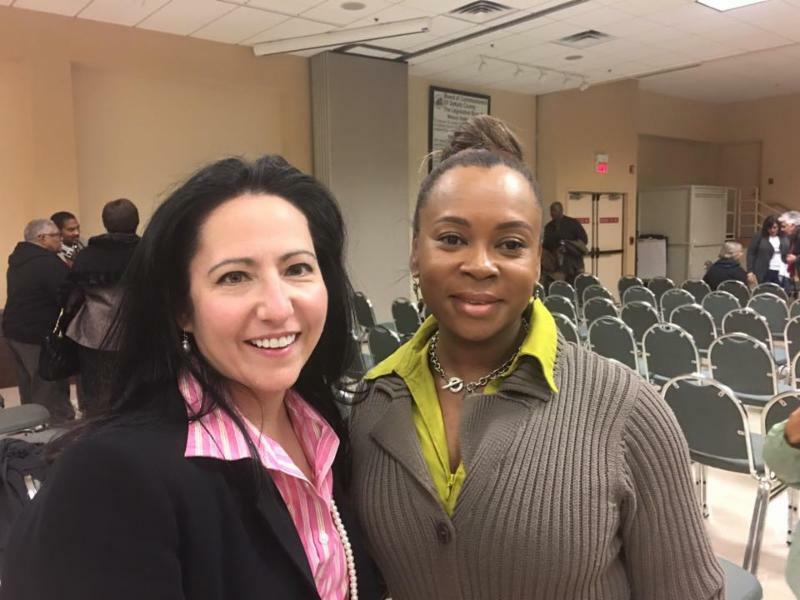 It gives credibility to the idea that DeKalb’s government is often used for the benefit of a small number of the well-connected residents and businesses at the expense of the larger public. 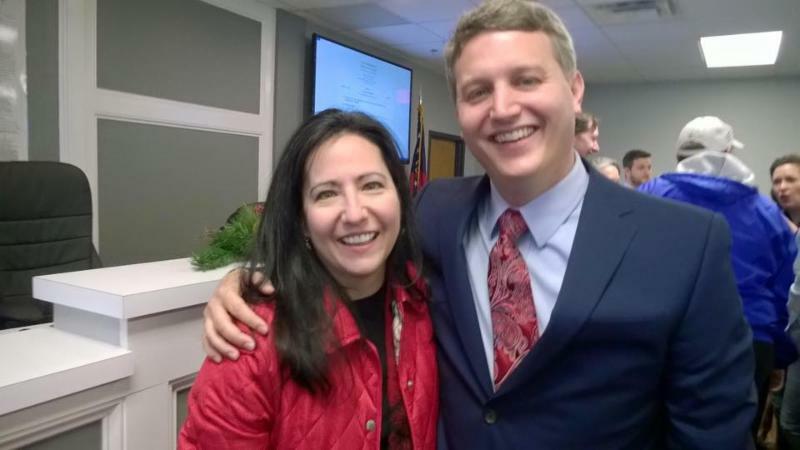 For the sake of transparency and honest government, it is imperative that Ms. Codi be recognized as the rightful appointee on the DeKalb County Audit Oversight Committee. 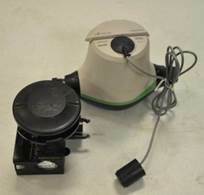 Beginning Monday, 11 January, the DeKalb County Department of Watershed Management (DWM) begins installation of new Advanced Metering Infrastructure (AMI) System transmitters on water meters in various locations in DeKalb County. DWM Director Scott A. Towler, P.E., explains that the new technology will help to eliminate manual misread meters and inaccurate estimated bills. The new AMI system will also allow for better leak detection within the water system, as abnormal spikes in water usage can be instantly identified using a software monitoring system. DWM contractors will begin work installing the new Advanced Metering Technology on Monday, January 11, 2016 and it is expected that this work will continue throughout the year countywide. For more information, please visit the Department of Watershed Management’s website at www.dekalbwatershed.com. A joint meeting for DeKalb Parks Bond Advisory Committee and the Initiative for a Green DeKalb Advisory Council will be held on Wednesday, 13 January at 5:30 p.m. at the Manuel J. Maloof Building, 1300 Commerce Drive, Decatur, GA 30030. The meeting will take place on the third floor, in the Recreation, Parks and Cultural Affairs conference room, and information will be provided on greenspace acquisitions and current parks and recreation projects. An honor to join John Ernst as he is shown in as Mayor of Brookhaven. 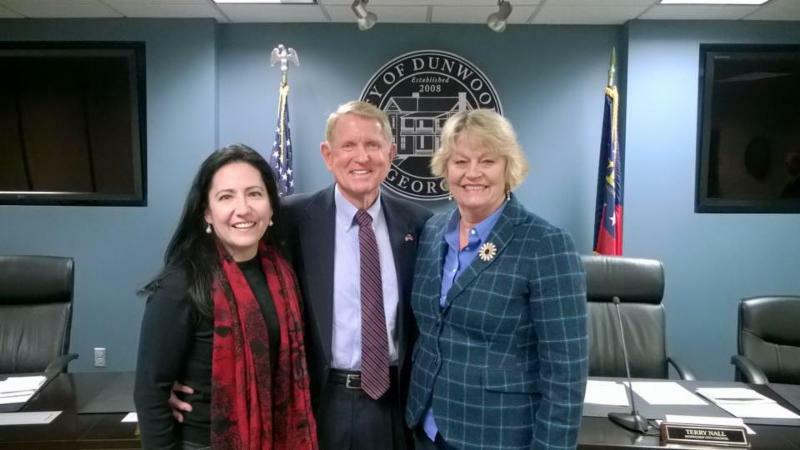 An honor to attend the swearing in of Mayor Denny Shortal of Dunwoody with my friend Yvonne Williams of the Perimeter CID. 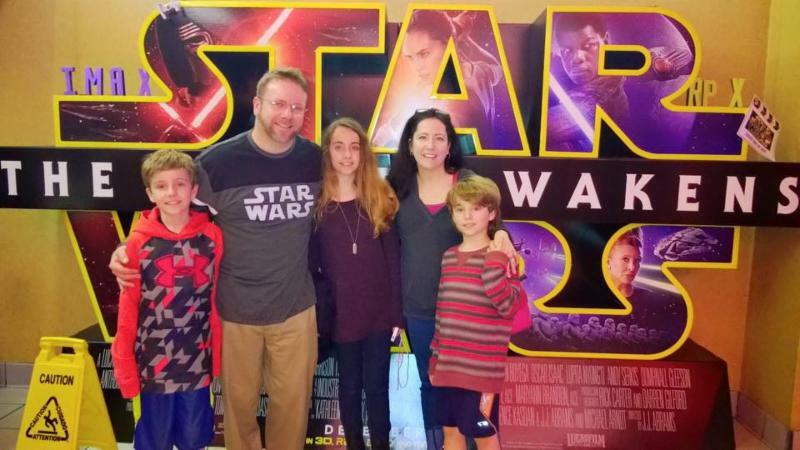 I love that in Star Wars – The Force Awakens, the future of the Force rests on shoulders of a reluctant young lady.